This simple apple and cinnamon loaf combines two of my all time favourite ingredients in one delicious and most importantly, easy recipe. 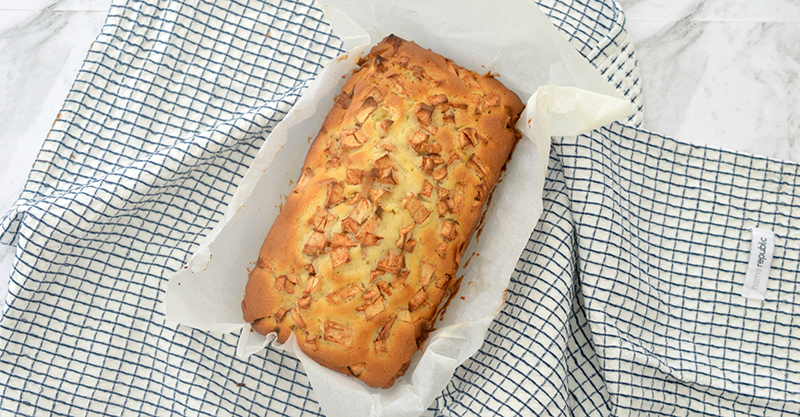 You can use any variety of apples when making this loaf (it’s a great way to use up the kids half eaten apples!) 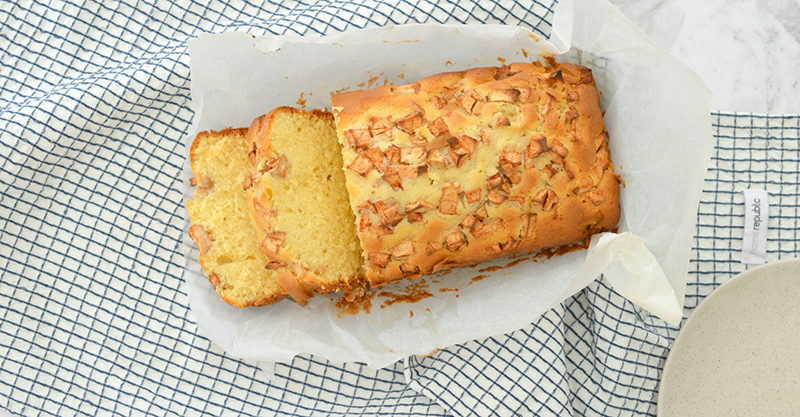 and with just a little effort and some help from your little bakers, you will all be sitting down to enjoy this apple and cinnamon loaf in no time. Also, if you have any left (which doesn’t happen often around here!) you can freeze the loaf for up to two months. Preheat your oven to 180°C (fan-forced) and line the base and sides of a large loaf tin with baking paper. 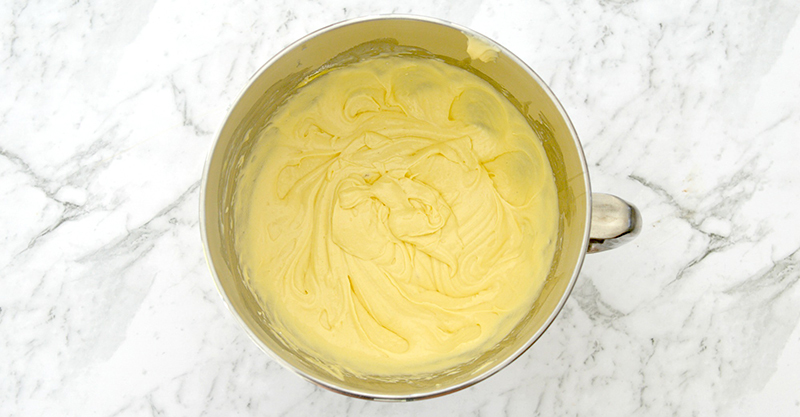 Place the self raising flour, caster sugar, softened butter, vanilla extract, eggs and milk in the bowl of an electric mixer and beat until just combined. While the cake mixture is beating, peel an apple (you can use any variety) and roughly chop it into pieces no bigger than 1cm. 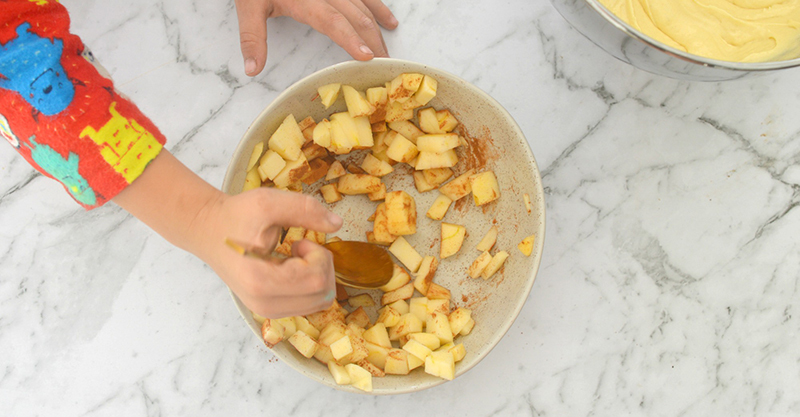 Place the apple pieces into a small bowl and add the cinnamon before gently stirring to combine. 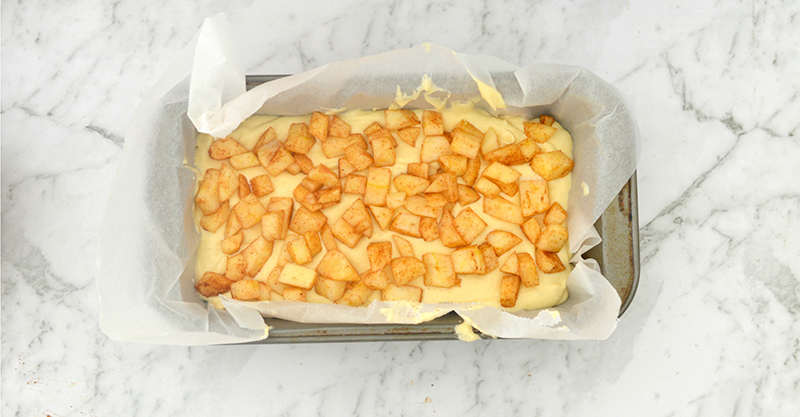 Pour the cake mixture into your prepared cake tin and sprinkle the cinnamon coated apple pieces over the top. Bake for 50 – 55 minutes or until cooked when tested with a skewer. Carefully remove your loaf from the oven and allow it to cool in the loaf tin for 10 minutes before transferring to a wire rack to cool completely.